Morning lovelies! As promised, here's my review of my second recent Benefit splurge- the "Fake up" under eye concealer. I have a slight confession to make... Before this purchase I have actually never in my life owned or used a concealer! Since I've always been lucky and never really suffered from spots, I didn't really see the need to buy one. However, recently I have been really stressed with university work and exam revision, so me and sleep haven't really been the best of friends, meaning I have been waking up with some not so attractive dark circles under my eyes and I basically tend to look like a bit of a zombie for half of the day! As usual, I have been using my Benefit eye cream every night, which I have always sworn by, as it's a great product for rehydrating your eyes and reducing dark circles, however, at the moment this cream alone doesn't really seem to be enough to cover up the circles in the day time. Therefore I headed to boots and got the Benefit sales assistant to talk me through all their different concealers, and after trying a few I decided that "Fake Up" was the one for me. The great thing about it is that the concealer itself contains a hydrating balm, meaning it actually works to prevent your dark circles in the future, as well as covering them for the short term. The product is really easy to apply, you simply sweep the concealer under your eye, and gently blend it into your skin with your ring finger. As you apply the concealer, the hydrating balm around the edge mixes in with the concealer, meaning the product glides on so smoothly and feels so light and dewey on your skin. I am so in love with this product that I have no idea how I have ever lived without concealer before, especially as this product was specially created to deal with dark under eye circles. Leave me a comment below and let me know your tips and tricks for covering under eye circles, I love hearing from you all and always try to reply to as many of your as possible! I'm also running a fab giveaway containing Benefit's amazing "Porefessional" so make sure you enter it HERE. I would also love it if you'd follow me on bloglovin and help me reach that 1000 mark! Love love love Benefit! If only I could afford to have a spree in there!! 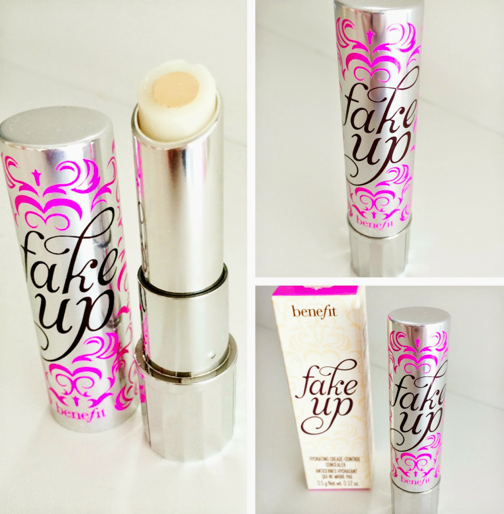 Fake Up is great for under the eyes, you may also like their Eye Bright product that helps counteract dark circles! I have really light skin and terribly dark under eye circles. Looking for a concealer that matches my skin feels like an impossible mission, so you can't imagine what it's like trying to find one that also covers my dark circles. Do you think this one would work for me? I know that feeling when you start using a concealer for the first time, you're like whoa! Sounds like an amazing product, but doesn't it crease during the day because of that hydrating circle around the actual concealer? Looks like it's worth a try! I may have to try this! The concealer I'm using at the moment is only a collection one and isn't too bad but isn't quite enough for my circles! I love this product as well! It is perfect for finals. Great Review! This is a nice review ;) Keep those dark circles and blemishes away! Sounds good! I might try this!! Thanks for commenting on my blog, as promised I said I'd comment back! I've had a sample size of this for so long, I need to try it now! I've had this on my wish list for a while now, glad to hear it you liked it. Nice blog! I adore this concealer!!! It literally makes my undereye bags vanish!! 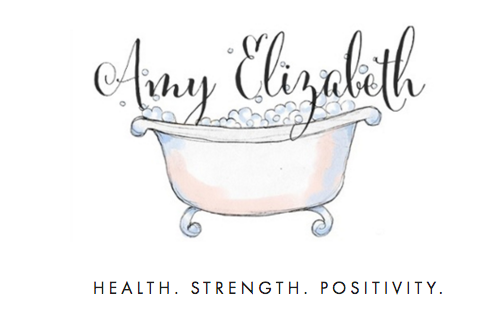 © Amy Elizabeth | Manchester Heath and Lifestyle Blog | All rights reserved.